Even the most casual observer of the current economic scene, knows that that there is something different about the way capital is being allocated in the American economy today. Billie Holiday had it right in her classic, God Bless the Child, written in 1939 at the end of the Great Depression and updated for the Baby Boomer generation in 1968 with the great Blood Sweat and Tears version. But God bless the child that’s got his own. A 2010 update could be speaking about the major multi-national corporations and big banks, which surely have their own and then some. On the other hand “Main Street” private companies are more likely to relate to verse two, singing the blues refrain that “empty pockets don’t ever make the grade”. Yet the data is irrefutable: jobs in America are created by small, growing firms, not by the corporate giants. When the recovery comes, and it always does, where will the money come from to fund the growth of the companies that we’re counting to create the jobs? Just What is Quantitative Easing About Anyway? It has become quite fashionable for commentators and blaring TV ads to assume that the United States is rapidly printing money, which will inevitably lead to hyperinflation and a debasement of the dollar as a global currency. All you have to do is look at the increasingly volatile (some might say speculative) chart of gold prices over the last decade and particularly over the past several years to see that many investors have bet with their bank accounts that this will be the case. I will admit to an inclination to being as susceptible as the next person to the suspicion that the western world is in for some significant inflation looking forward. Yet this belief must be based, not on demonstrable proof, but on an innate faith that politicians will invariably do the wrong thing, given the choice. In a December 5 interview on 60 Minutes, Chairman Bernanke of the Federal Reserve, conducted in my opinion the most candid discussion ever to slip from the lips of a Fed Chairman. He made a very forceful case that, far from inflating the currency, the Fed is fighting a very real risk that the U. S. could fall into a serious deflation. 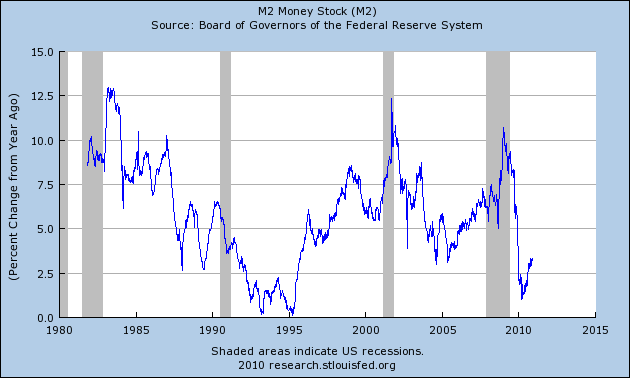 Without equivocation Bernanke indicated that QE II (the purchase of long term Treasury Bonds by the Federal Reserve) is not inflationary and has not created an explosion of the money supply. He went on to say that, were inflation to rear its ugly head, the Fed could raise interest rates “in fifteen minutes” if necessary. Permalink | | Comments Off on Just What is Quantitative Easing About Anyway? Global M&A volume (closings) has recovered moderately from a low of $1.8 Trillion in 2009 or about half the market peak of $3.6 Trillion in 2007. We estimate 2010 volume around $2.3 Trillion, up around 28% from 2009. 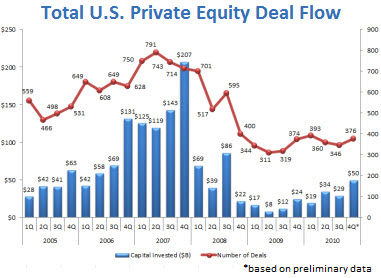 In the U. S. private equity activity continues to increase, with the likelihood that for the full year 2010 $ invested by PE firms will exceed $100 billion or approximately double the 2009 trough. 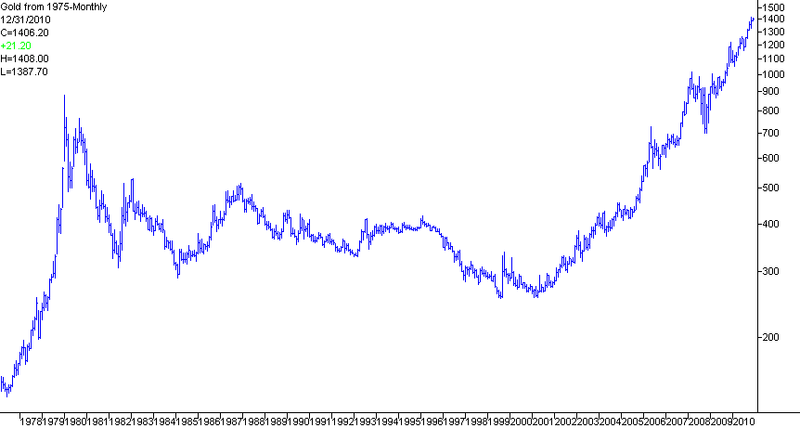 This number is still down approximately 85% from the 2007 peak. 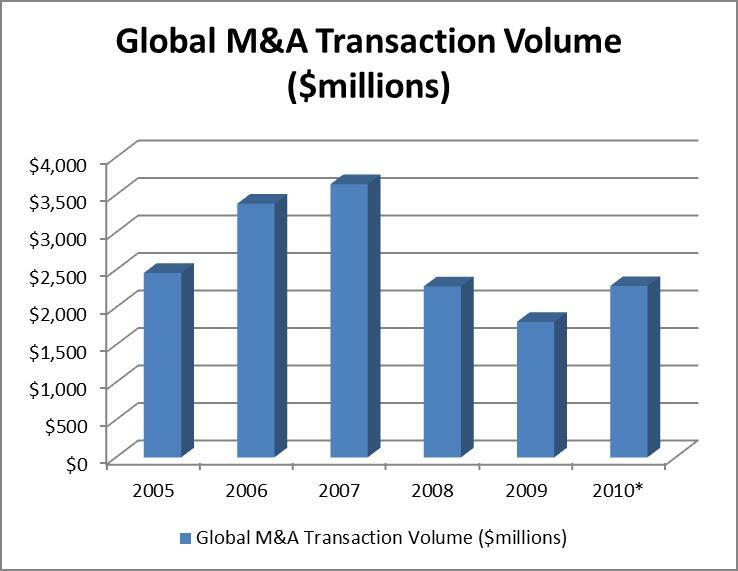 Focus has seen a good recovery in M&A activity in 2010, with total closed M&A transactions expected at 12 for the year compared to 8 in 2009. More important, for consistently profitable companies in favored sectors (e.g. 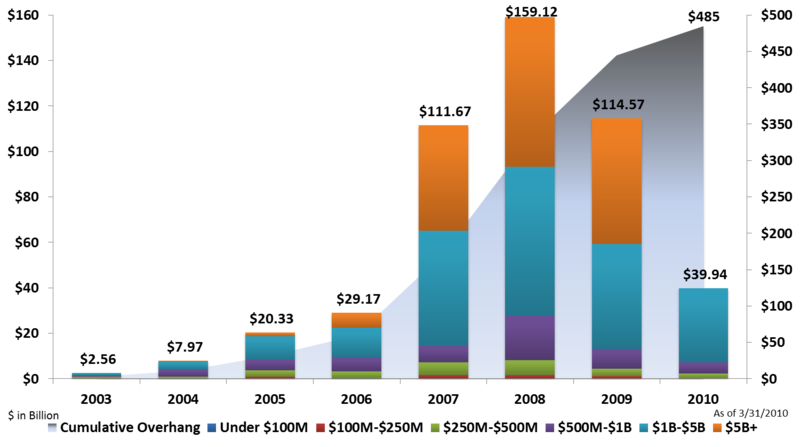 IT services and software) we have witnessed pricing multiples reminiscent of those at the peak. Weak companies battered by the recession on the other hand have had some difficulty getting traction in this market. Recent activity leads us to believe that the recovery in deal activity will continue into 2011 and may gain strength. We have seen indications that PE firms, essentially absent from the market in 2009, are becoming more aggressive in their activities and more willing to look at firms outside the most popular sectors. This is driven in part by the record level of “dry powder” in the hands of PE firms, approaching $500 billion. At some point this money must be invested or given back to the limited partners. Additionally we see continued strength among strategic buyers that have become quite active in a number of industries. With revenues stagnant in many cases, these firms must look to acquisitions to create the growth expected by equity market investors.